Subscribe for FREE and Receive 12 Downloadable Songs and Games to Get Your Kids Excited About the Bible! Get your FREE Games and Songs! 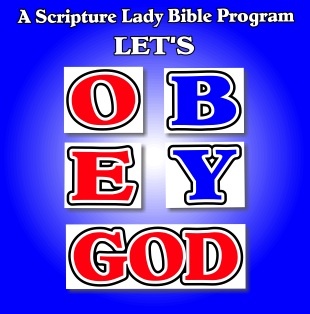 Let’s OBEY God is The Scripture Lady’s newest elementary Bible program designed to teach children ages 5 -11 the importance of obeying God all of their lives. Each acrostic teaches 4 important points about the topic in capital letters. My “Let’s OBEY God!” program is no exception. O – We will have Open Ears and Open Hearts. B – We will Be kind, Be patient and Be loving. E – We will be Encouraged and Excited. Y – You will remember that YOU have the power of God to obey. The program opens with me sharing the importance of obey God every day of our lives. In fact, obeying God should be every Christian’s number one goal. We then sing one of my favorite Bible verse songs that I wrote called, “Do What it Says.” This song is based on James 1:22, which says: “Do not merely listen to the Word and so deceive yourselves, but do what it says.” This is a great verse on obedience and reminds us all to put into practice what God calls us to do. Click HERE to hear a sample of this song. I then move forward to the first teaching point for the letter “O”: When we obey, we will have Open Ears and Open Hearts. I proceed to tell the kids that we need to have ears and hearts tuned into the voice of God through His Word and the Holy Spirit. In fact, Jesus wants us to be like sheep who follows their Shepherd and who know His voice. 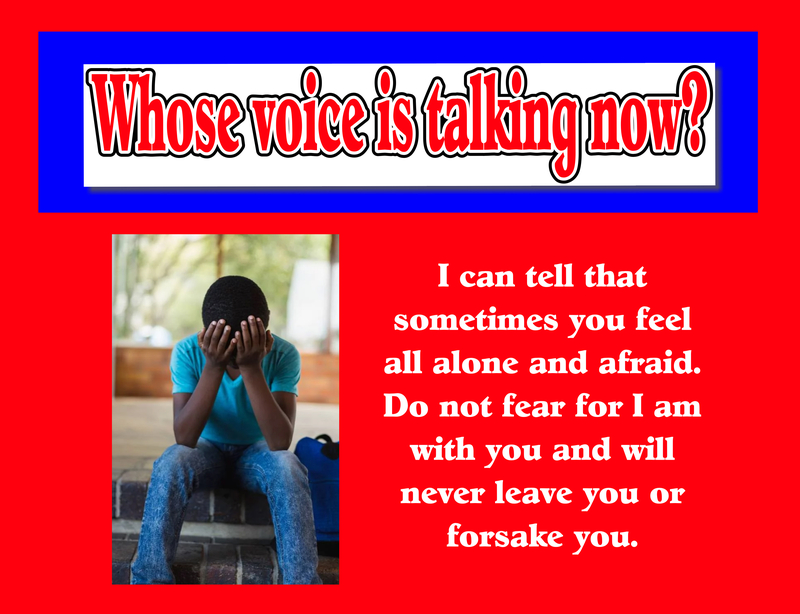 I also remind the children that there is an Enemy who talks to us as well and we all need to learn the difference between our loving Shepherd’s voice and the voice of Satan. It’s very simple to play and I am giving you the slides so that you can play it with your kids. 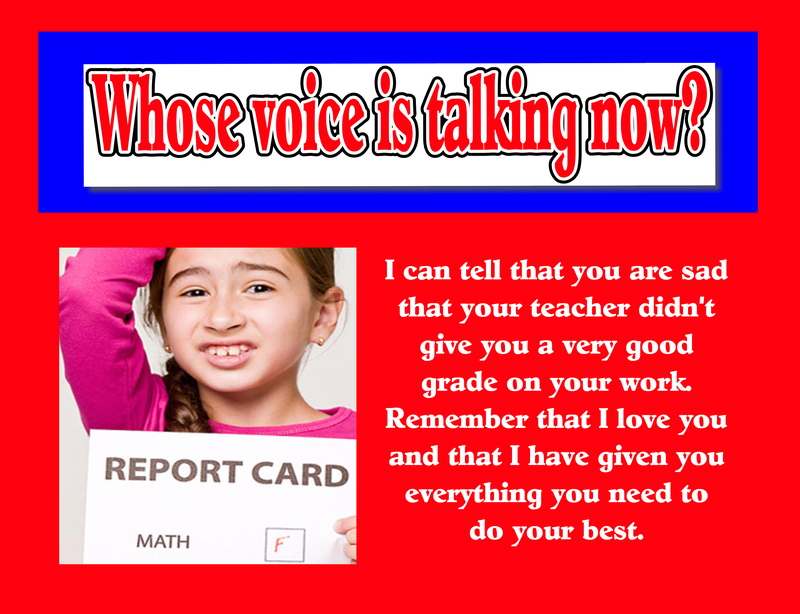 Each slide presents 6 different situations where a voice is talking. 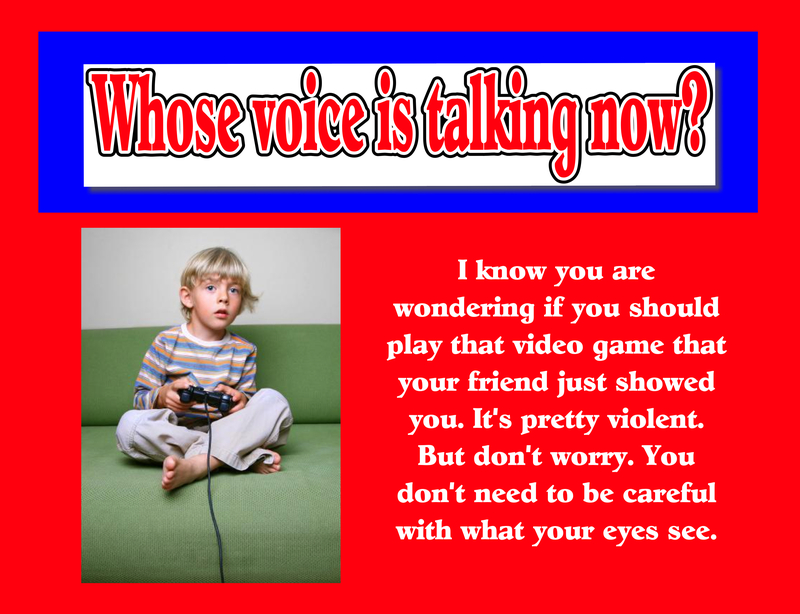 The children have to decide if Jesus, the Shepherd is speaking, or if the Enemy is speaking. You will also notice that I am giving you a slide that shows a picture of Jesus, our Shepherd, side by side with a picture of a lion. We know that the Bible depicts the Enemy like a lion waiting to devour us. 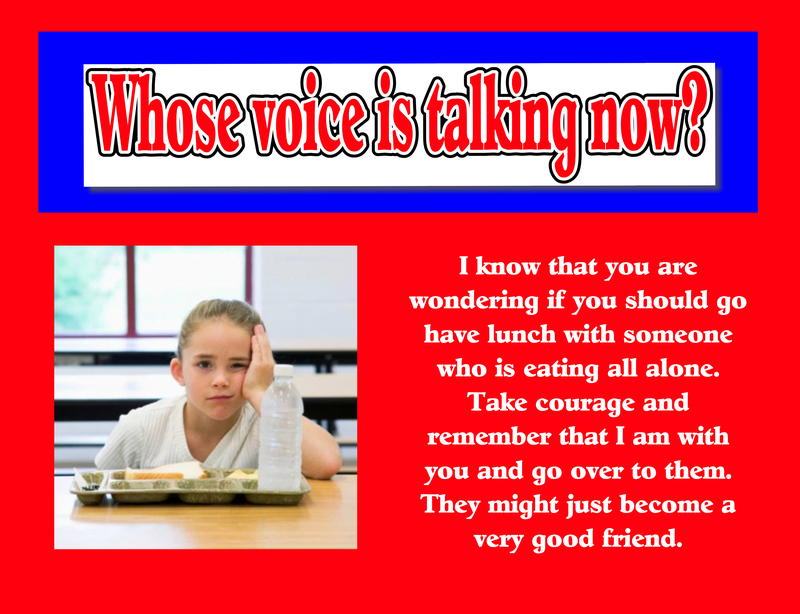 Begin by reading the first situation and then ask them, “Whose voice is talking now?” Then let the kids perform the right movement to match the voice. Pretty simple, but lots of fun. After playing the game, we continue on to point number two for the letter “B”: When we obey, we will Be kind, Be patient and Be loving. For this portion of the “Let’s OBEY God!” program, I share one of my favorite parables, the parable of “The Good Samaritan.” I actually use my “Scripture Lady” bag and pull lots of objects out of it to captivate the kids. The next letter we learn from is “E”: When we obey, we will be Encouraged and Excited. God loves it when we trust Him enough to obey Him. When we trust God, we will be more and more encouraged and excited to continue to obey Him as we see the results of our obedience. 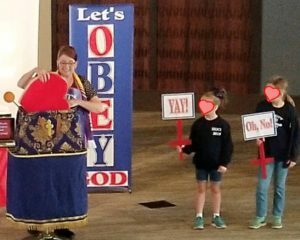 During this part of the “Let’s OBEY God!” program, I take the kids back in time to when I was a little girl and I learned an important lesson about following what the Bible says about loving our enemies. I share with the kids that once there was a girl in my class who was always mean to me, but because I learned that Jesus wants us to love our enemies, I showed this girl love instead of being mean. After a little talk with “Little Kathy,” we sing a brand new song called, “Noah Built the Ark,” a song all about obedience. Click HERE to listen to a sample of this song. Finally, we come to the letter “Y”: When you obey, you will remember that YOU have the power of God to obey. During this portion of the lesson, I share that obeying God is not always easy. In fact, Jesus struggled with obeying the Father. While on earth, Jesus was fully God, but also fully man and was tempted in all the same kinds of temptations that we are. Jesus knew first hand how hard it was to make right choices and obey the Father, even to the point of death. This is when I get to share my newest object lesson with a twist called “Jesus Took the Cup.” I LOVE this new object lesson and the kids loved it too. It really drove home the point that Jesus was willing to obey God even to the point of death by taking the cup of pain suffering by taking our place on the cross. Would you like Kathy Vincent, The Scripture Lady, to share this program or one of her many other programs for the children of your church or children’s ministry? Then contact her at thescripturelady@gmail.com to learn how to book a performance for a fun, creative and meaningful presentation of God’s life-changing Word. If you liked learning about the “Let’s OBEY God!” program, then sign up to receive Scripture Lady’s Free Email Kid Tips packed full with creative ideas and receive 12 FREE Bible downloadable resources to help get the kids you minister to excited about the Bible! Just go to www.MyFreeBibleGames.com to fully subscribe. Also, don’t forget to “LIKE” me on Facebook. Just click on my Facebook logo to the right. Thank you! Kathy: Thanks so much for the Obey Game. I look forward to playing this with our church kids. 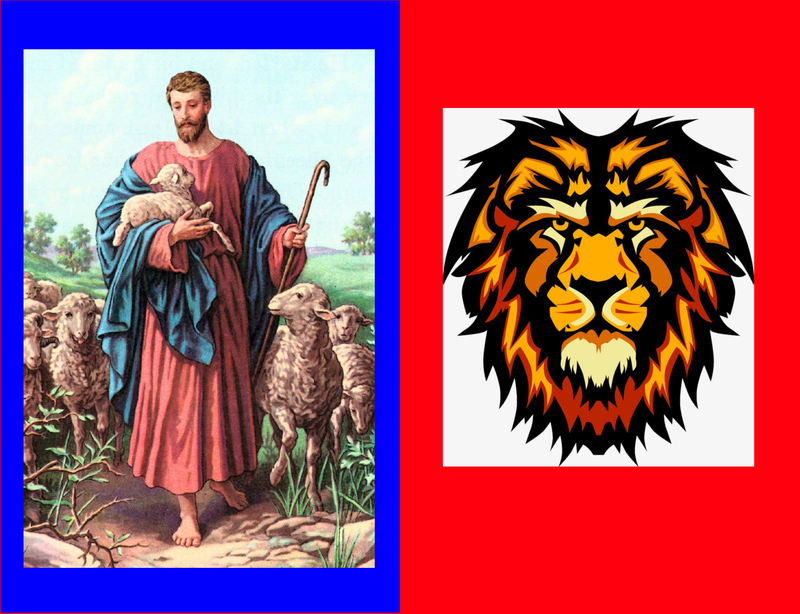 When I click on the Good Shepherd and Lion slides, the Situation #6 slide appears again. Could this please be fixed? Thanks again. HI DeeAnn, Thanks so much for pointing this error out to me! It is now fixed. Let me know how the game goes! Blessings! HELLO IN THERE!!! WE ARE HAVING VBS FARM FRESH AND THE SECOND DAY IS ABOUT OBEDIENCE. Hi Susie, Sorry for the delay! I have been out of town. Thank you so much for your interest in my “OBEY” program. I am really having a lot of fun sharing it. Regarding your questions, 1. I don’t sell the aprons, but if you are interested, I can email you the pdf file and you could have them printed if you want. 2. I don’t have any crafts that go with this lesson. 3. I live in California. I do travel and share my programs. If you are interested in learning more about this possibility, you would need to contact me through my “Event” page. This page will give you a few details about possibly having me come and share. 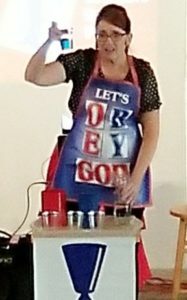 Here is the link to my “Event” page: https://scripturelady.com/scripture-ladys-events-performances-workshops/ Many blessings to you and your ministry to children! Subscribe to The Scripture Lady’s Email Kid Tips! 12 Downloadable Resources for FREE for Your Children's Ministry! You will receive 3 to 4 emails per week to help captivate your kids with God's Word, the Bible! Click HERE to get your own set of Story Sticks! Would you like The Scripture Lady to come to your home town? Get 10 Bible Games for ONLY $10! 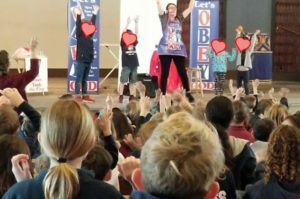 “I love you, Jesus!” – A True Story Based on Psalm 8:2 by The Scripture Lady! The Scripture Lady will Perform Over 30 Times this Easter Season! The Scripture Lady Event was a Success in Tooele, Utah!